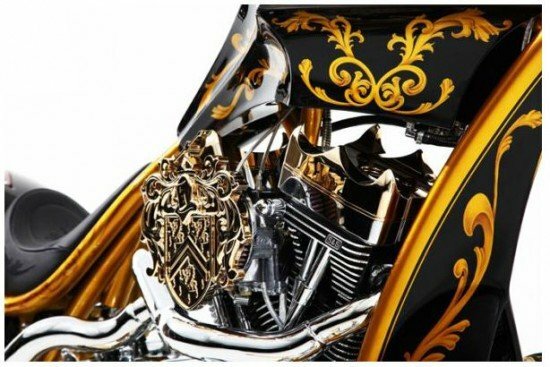 Very much in the league of Paris Hilton’s pink diamond encrusted bike comes Donald Trump’s Gold Bike. 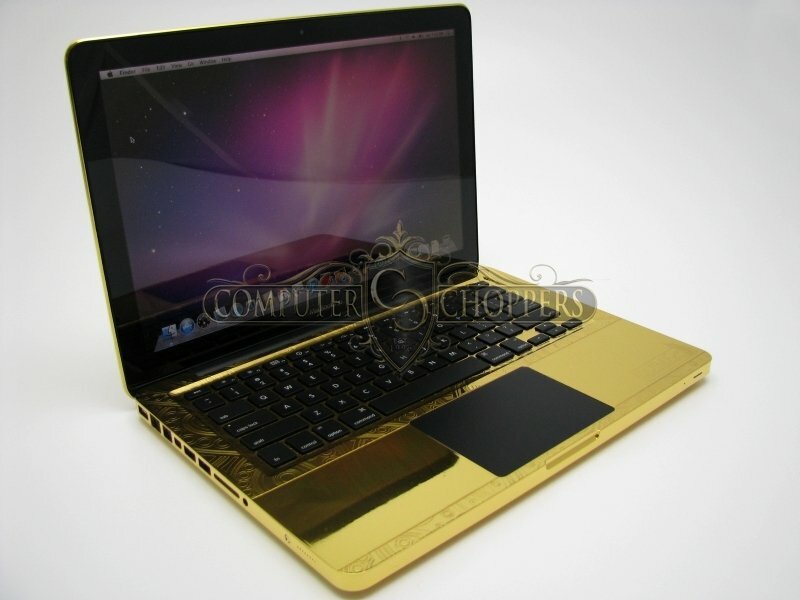 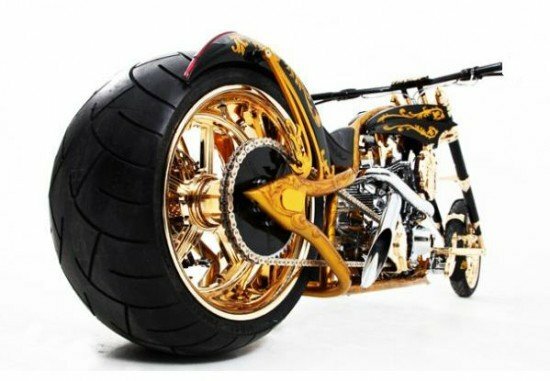 Created by American Choppers, the bike 100 per cent American made and gold laced. 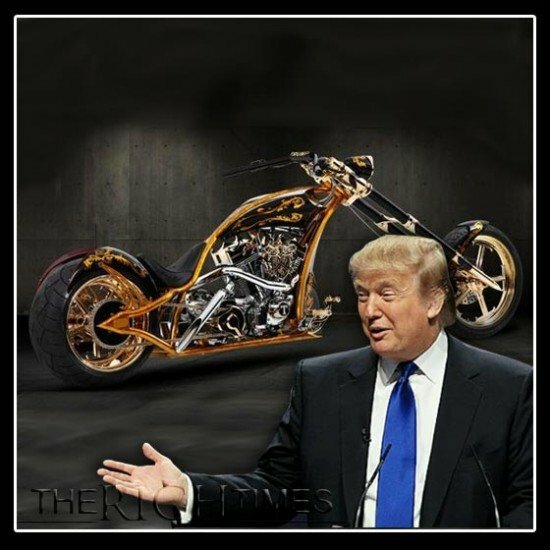 One need not go very far to wonder why Mr. Trump would be interested in a gold bike. The man who famously proposed to build a $100 million ball room in the White House just loves riches. 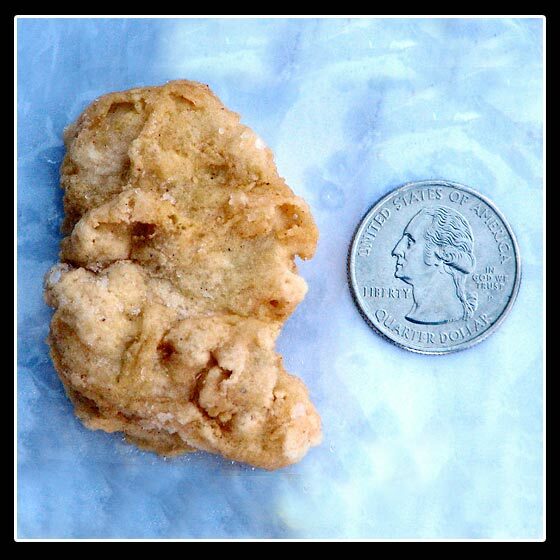 His $100 million personal jet plane is proof of that. 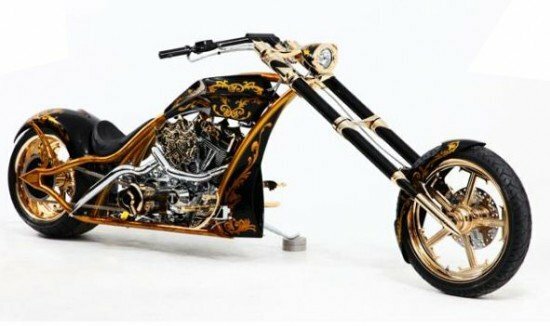 As for the bike from American Choppers, it is the result of a friendship that formed on the sets of The Celebrity Appearance where Trump and Paul Teutal Sr. became friends. 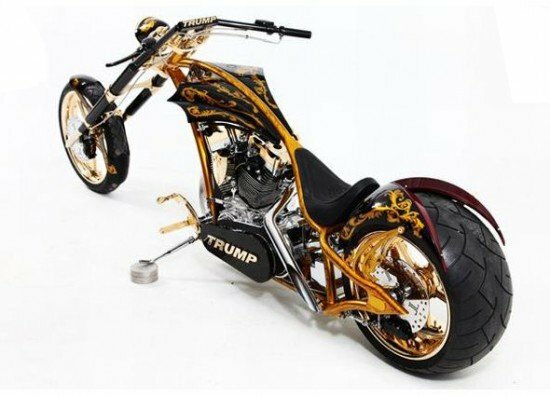 Trump requested and was obliged with a 100% American bike in Gold complete with Trump engravings (may we take that to mean it has Trump’s coat of arms? 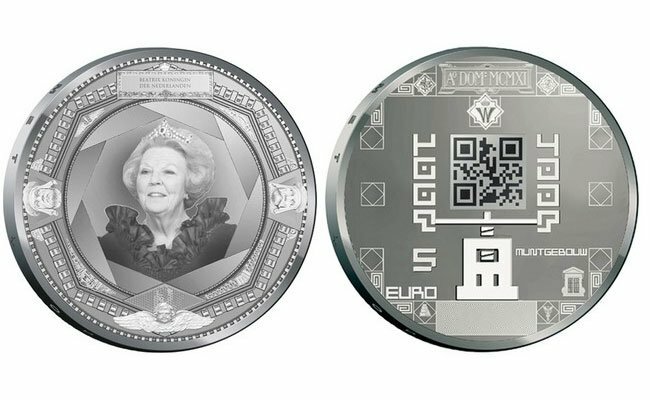 Apparently not, since the video does not show these. 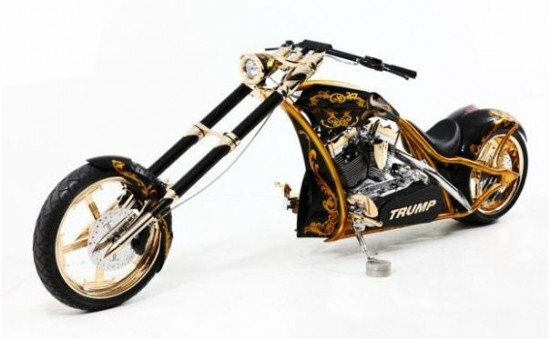 The Trump Chopper as it is known as is 11 foot long from tip to tip.